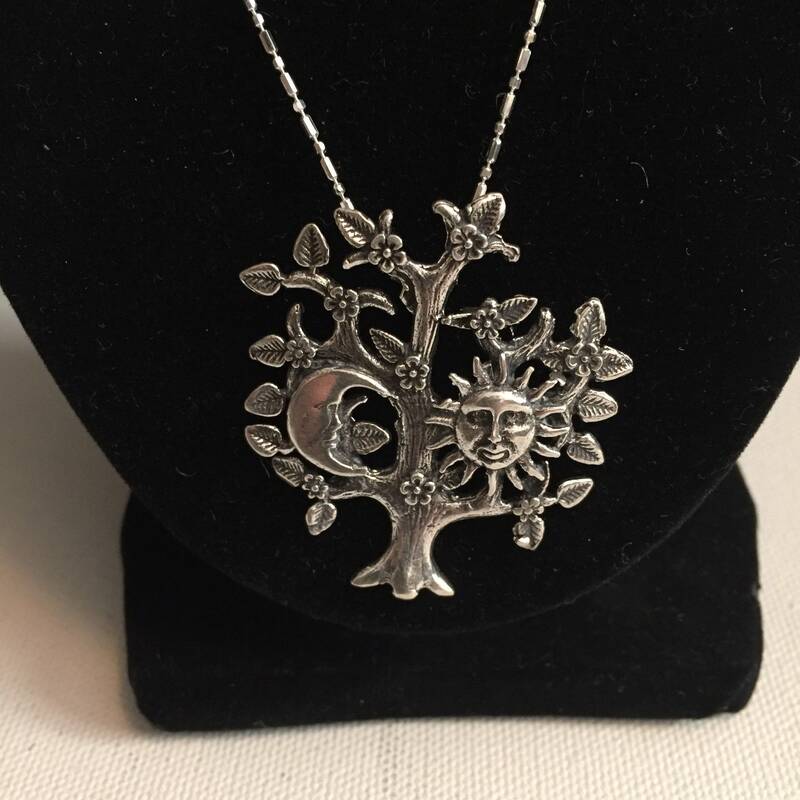 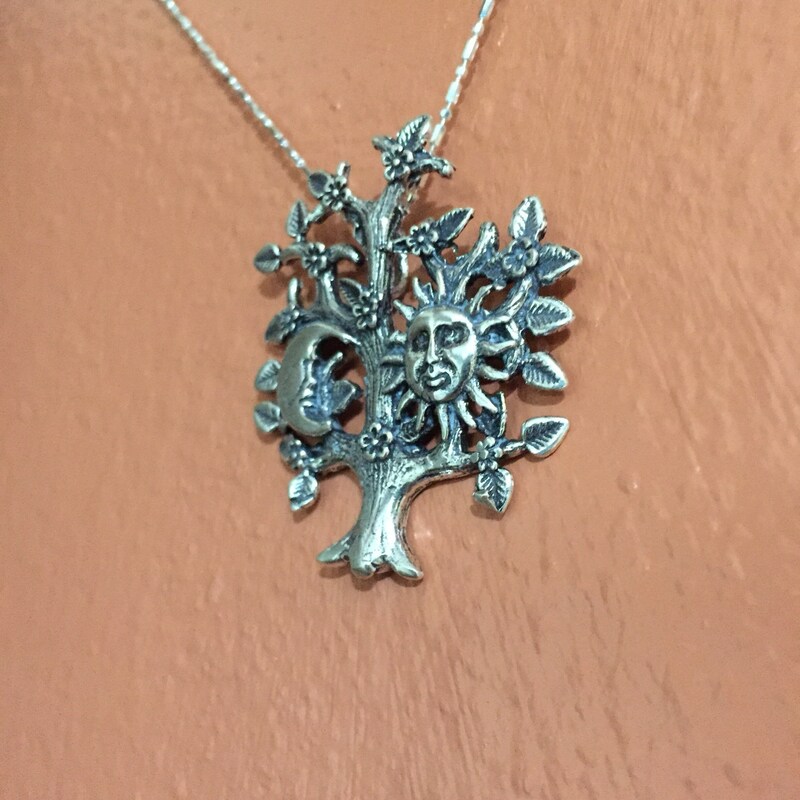 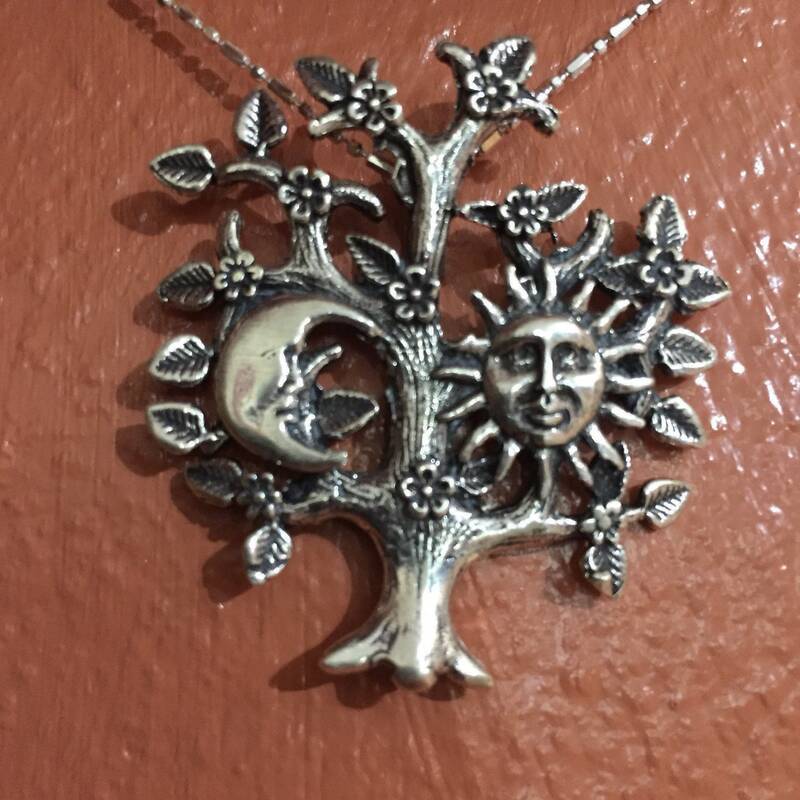 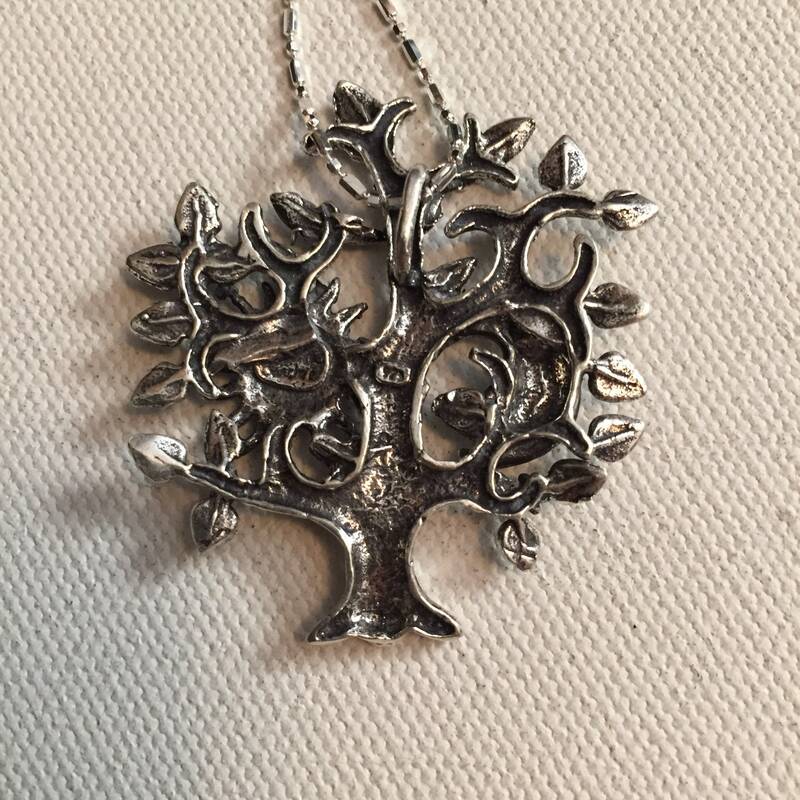 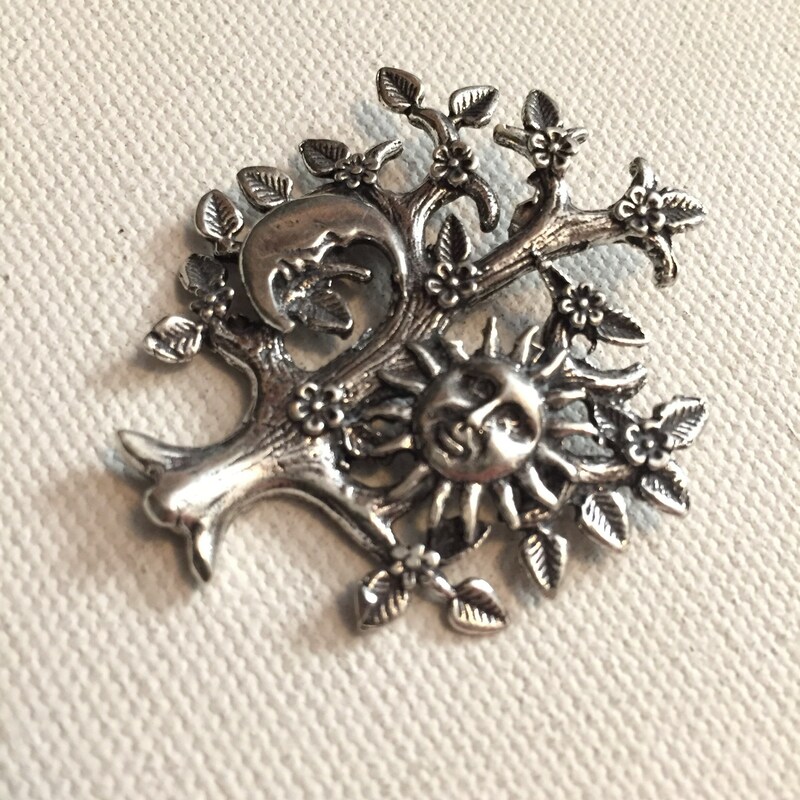 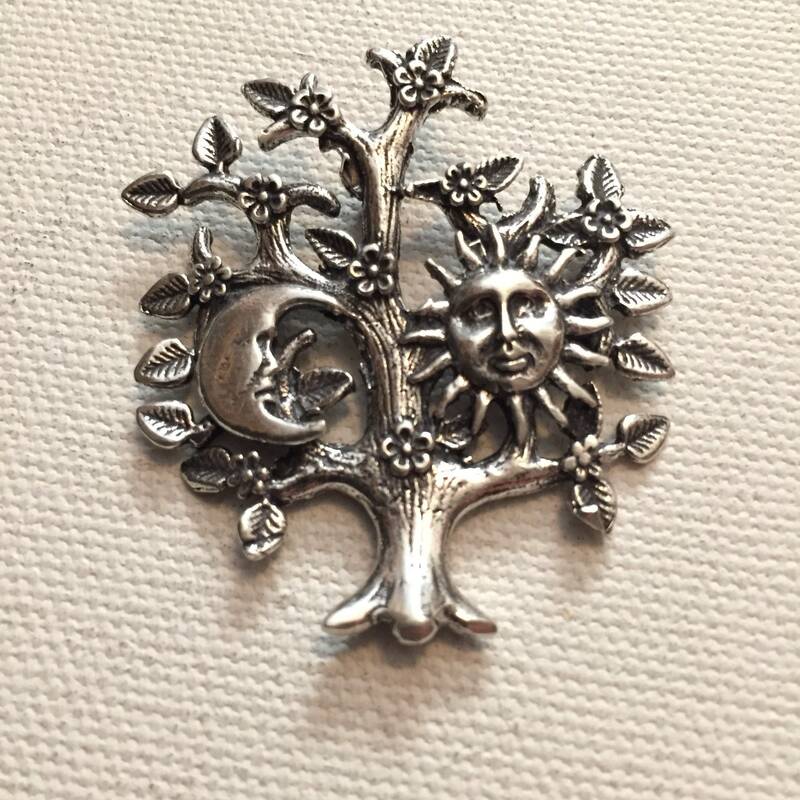 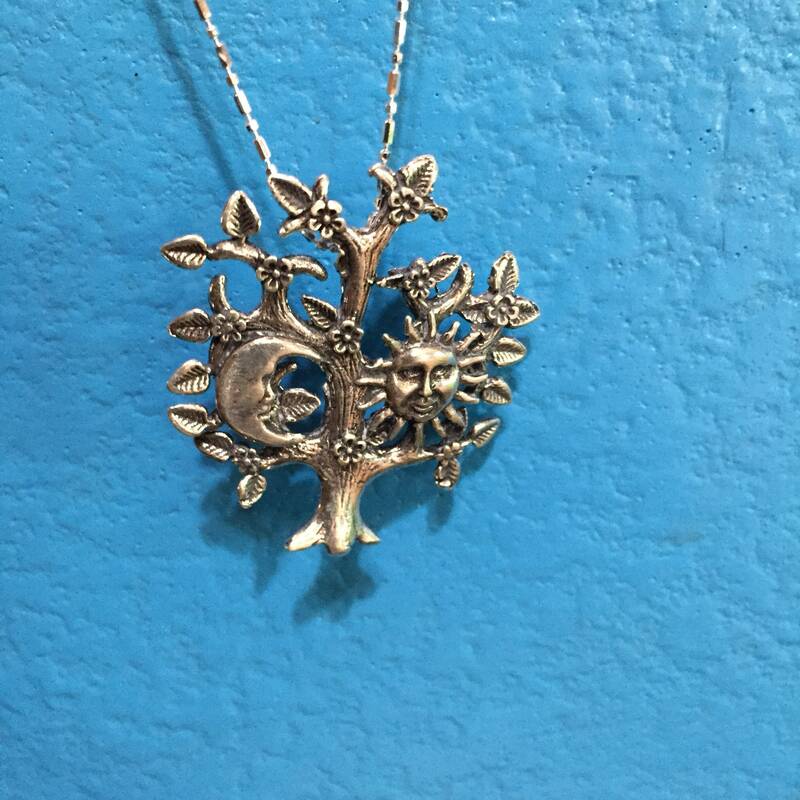 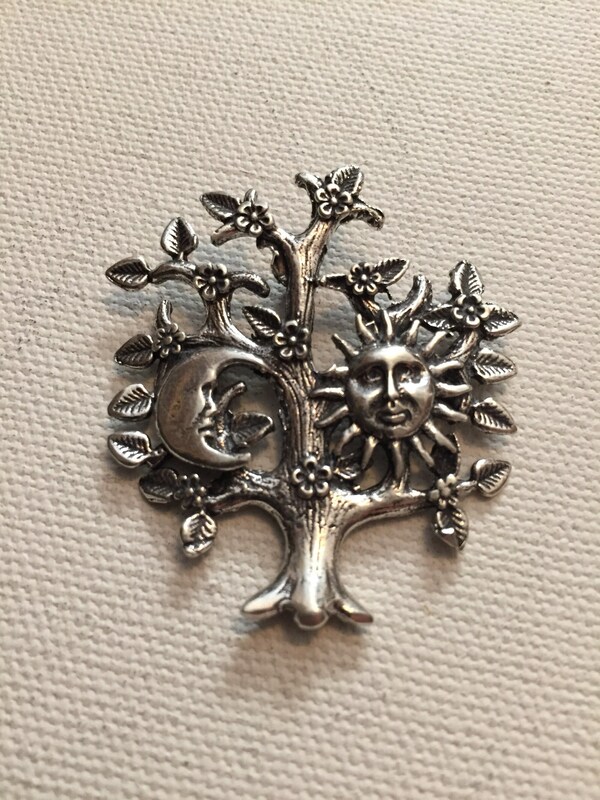 .925 sterling silver tree with sun and moon pendant. 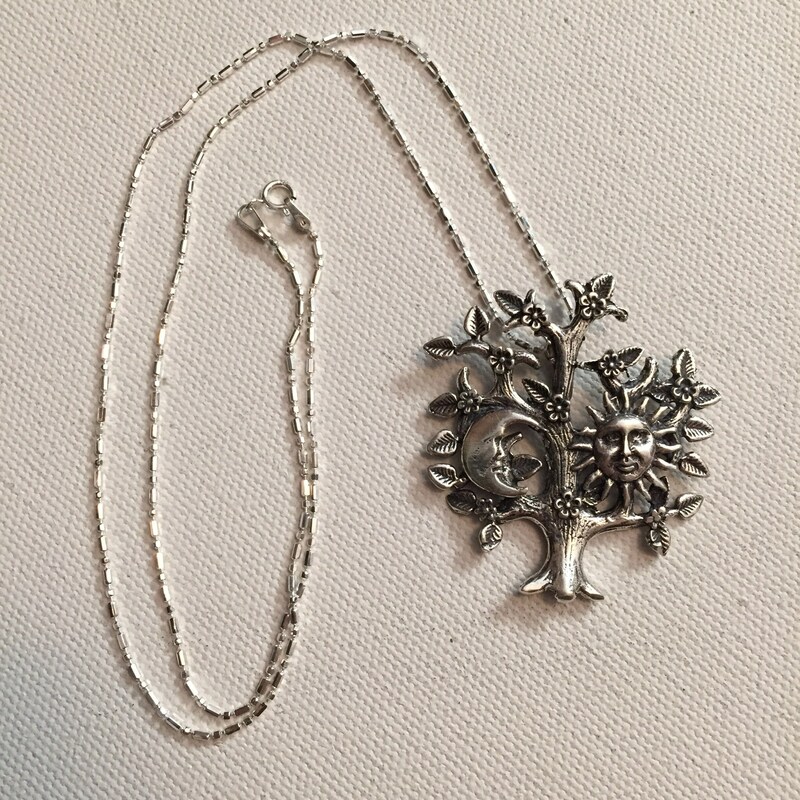 Beautifully designed lost wax casting. 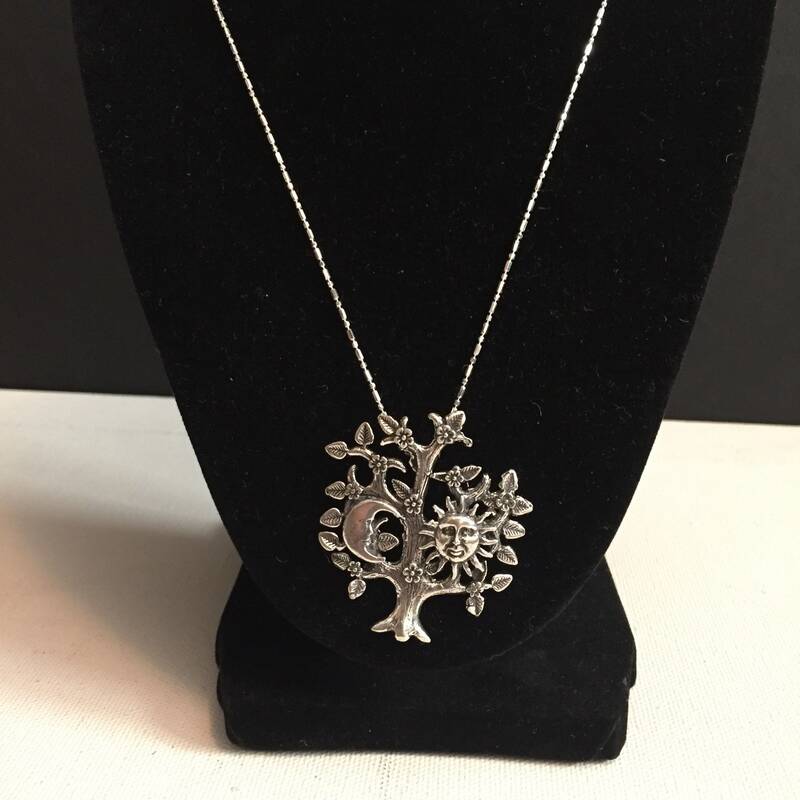 Includes 20” length .925 thin sterling silver chain necklace.